State Of Decay was originally released in 2013 for the Xbox 360, and was well received by reviewers and the people who bought and played the game. Although zombies is an oversaturated market in video games with such titles as Dead Rising, Dead Island, Left 4 Dead and other AAA titles already out there, who would of thought a much smaller title with zombies would do well? State Of Decay went on to be one of the best selling downloadable games on the Xbox 360… ever! Since the release of the original State Of Decay, the almost unknown development team Undead Labs are now with Microsoft, and a sequel to the original game looks to be coming out in the near future with possible MMO features, but for now Xbox One owners are given the chance to play the original State Of Decay. If you are a returning player of State Of Decay then you have not been forgotten, you will get a 33% discount along with exclusive extra items for use in the main game. You might be thinking “but what has changed from the 360 version to the Xbox One version?” The most obvious change from the two generations is the enhanced graphics of the Xbox One version, they aren’t your pretty “next gen” graphics, but they are better than the 360’s version. The framerate has also been improved in the Xbox One version, the 360 version suffered from some nasty framerate issues that have been lowered, but are not exactly missing from the Xbox One version. The other changes from the original version to the Xbox One version is that it includes the two DLC’s (Breakdown and Lifeline) which all add to the already high replay value of the original game. What if you are new to State Of Decay? Well from here on this part of the review will answer all your questions. State Of Decay is a unique zombie game which is why it became so popular, it did things different to what other zombie games were doing. State Of Decay is more of a simulation based survival game while zombie games like Dead Rising and Dying Light were pretty much hack and slash games. Survival is no joke in State Of Decay as one wrong move or decision can change the whole game. You have a health and stamina meter that you will need to keep an eye on because having low health or even low stamina while encountering zombie groups will almost end up death. There are no “game over” screens to keep you safe, once you are killed you are done… finished… dead! You will get a new character, but the new character is about as useful as when you first boot up the game. The characters stats are all set back to zero which includes important stats like health and stamina meter level increases. Survival is a key feature in State Of Decay, and is one of the big reasons why this game is so good, and sets itself apart from the other zombie games. You will have to build up your home bases, find supplies for yourself and the group, keep survivors happy and find new survivors. Everything that you would want in a single player based zombie survivor game is in here. You almost never feel super powered or over powered while playing State Of Decay which helps create this feeling that you are vulnerable and that at any moment one wrong decision or choice like choosing to look for supplies at night (Yes this what happened to me) could be the end of that characters run. It’s been almost 2 years since I originally reviewed this excellent game, and playing it once again on the Xbox One has reminded me how good this game was when it was first released. It still holds up as one of the best zombie video game titles out there today. It’s held back due to some technical issues that have also made the jump from 360 to Xbox One. If you have never played State Of Decay, and you own a Xbox One then now is the time to play one of the best survival zombie games ever made. Check out our original review of State Of Decay which was one of the first games we ever reviewed on ThisGenGaming. 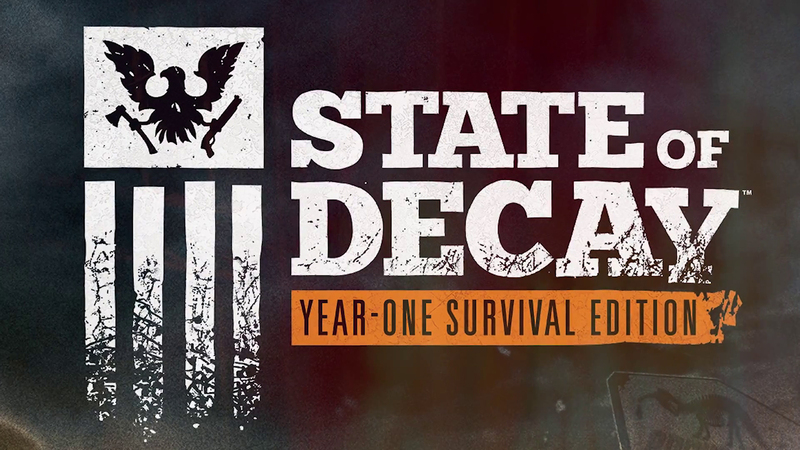 The original review will go into even more detail about what makes State Of Decay so good!